What's a GTX560 Ti, you may ask? Put simply, it's awesomeness condensed into the shape of computer hardware. Put complexly (because I can't resist talking about the details), it is the second generation of the nVidia GeForce 460 - the 400 series was replaced with the 500, so the GTX460 (apparently a very popular GPU) became the GTX560. However, to bridge the performance gap between the 560 and the 570 (which was relatively considerable) nVidia came up with another "in-between" version, the GTX560 Ti. Why am I talking about this particular GPU? Well, waaaaaaay back in December 2011, I bought my current desktop PC, a Gateway DX4860 with an Intel i5-2320 processor @3.0Ghz, 6GB of 1333Mhz RAM, a DVD drive, about a dozen USB ports (you can never have too many USB ports) and finally a nVidia GeForce GT520. Not the best card out there, truth be told - I looked it up on an benchmarking website and it was third from the bottom. Anyway, as you can guess I went out and spent some money. Initially I was looking for a nVidia GeForce GTX460, but when I got to MicroBytes (a computer hardware retailer here in the MTL area - awesome place) I found out that the 460 was kinda...outdated. Like, 2 years outdated. This might not sound very old, I know, but we're talking about computer hardware here. 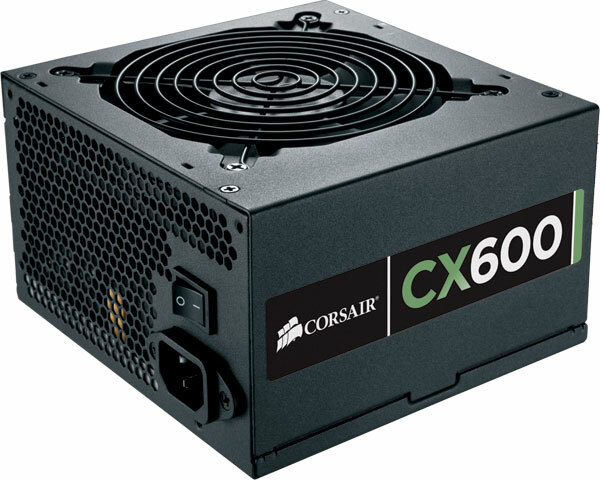 In the end I got a Corsair 600W power-supply (to replace the standard 300W in my PC) and a EVGA GeForce GTX560 Ti SC (SC standing for super-clocked). I actually still have the box next to me, it's huge. Anyway, I then had some fun plugging in all the cables and stuff. I actually did this over two days - I got the PSU first, installed that, then the next day I went and bought the GTX560 Ti SC and immediately plugged it in. I then went a bit nuts after seeing just how fast it is. This is the awesomeness I'm describing. Don't let the image fool you though - it's 9inches / 23cm long. And the PSU - a rather straightforward design, which I like. Both pieces of hardware have a very toned-down design to them. Especially the GTX560 Ti, it's not showing off. 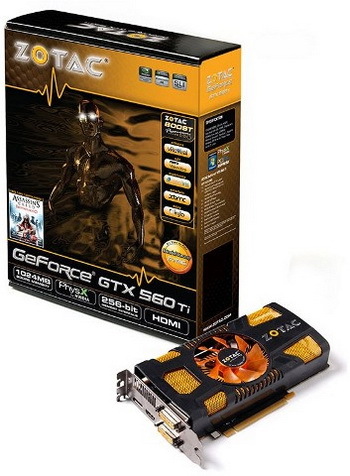 Pretty much the same card (apart from what modifications each company has made to nVidia's base model), but the Zotac is more of a show-off - I mean, it has an image of some sort of dark Iron Man robot thing on the front. Even the card seems to be trying to look "cool", which admittedly it does, but... I prefer the more toned-down EVGA design. I'm also a big fan of the more "classic" look of Audis, so that might be the same preference popping up. Anyway, now for some more geeky specs. My previous GPU (the GeForce GT520) was able to render the Cycles benchmark BMW M1 model by Mike Pan in 10 minutes and 12.61 seconds, running on nVidia's CUDA rendering tech. This is the test render file - however the benchmark runs at 200 samples, so a bit grainier than this image. I've done a few other tests too, like for my Audi model, (which I'll be posting about soon) and this is going to be very, very useful for pre-visualizing materials in Cycles. I have this card and is really excellent relation price velocity, the problem is when you want to render a scene in a larger size, eg A3 300DPI (print) and then he did not pick up the scene, it's a problem I'm still looking for a solution, unfortunately, Open-CL also not pick up the scene even though I have 8GB ram.